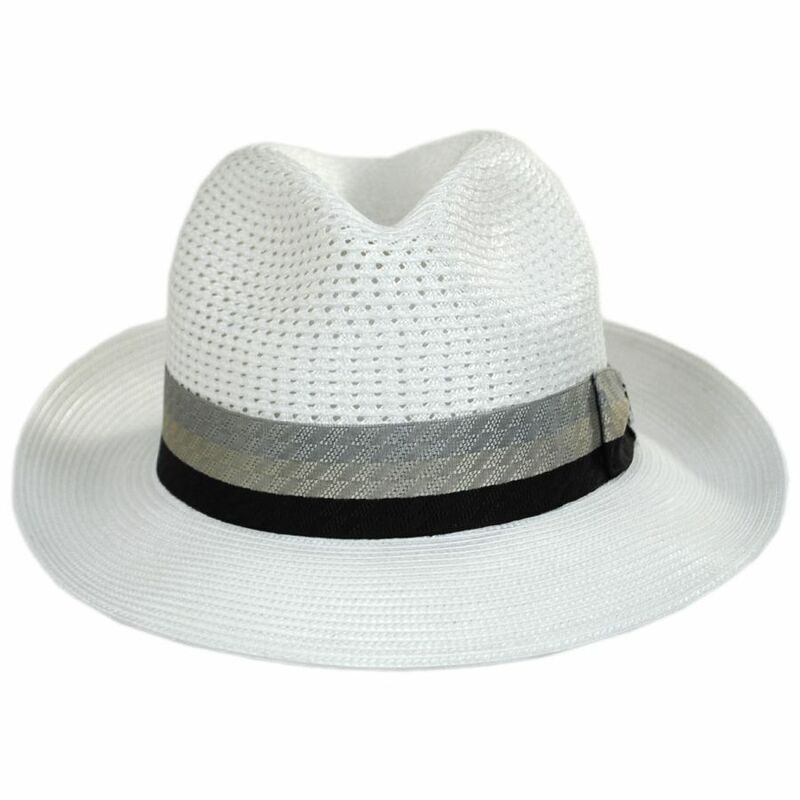 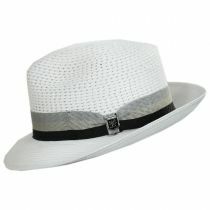 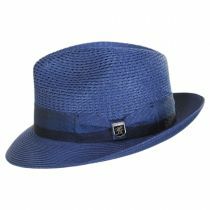 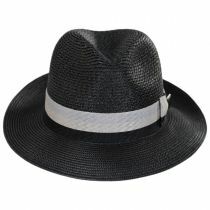 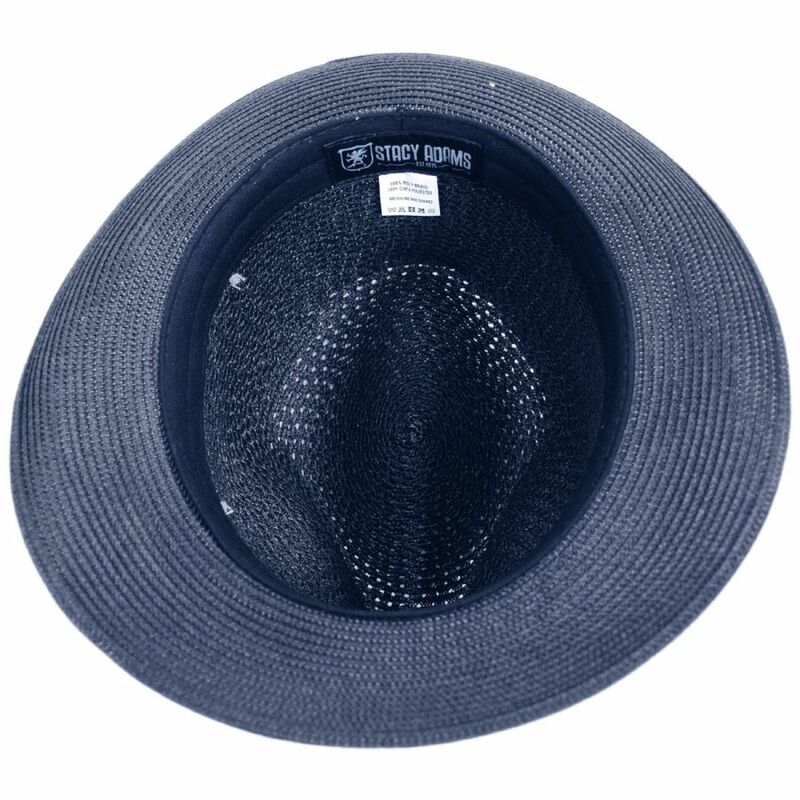 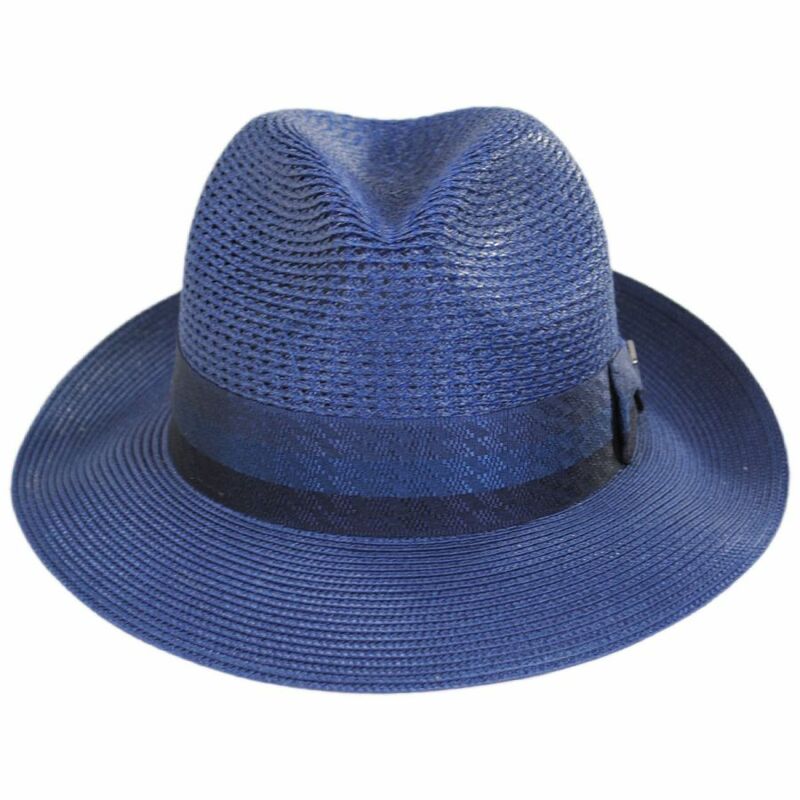 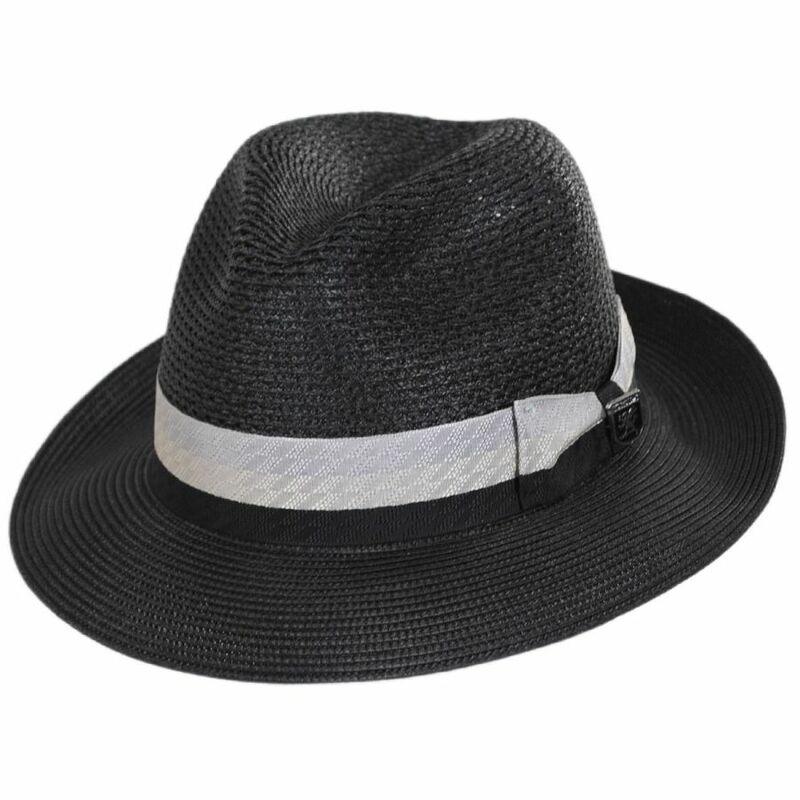 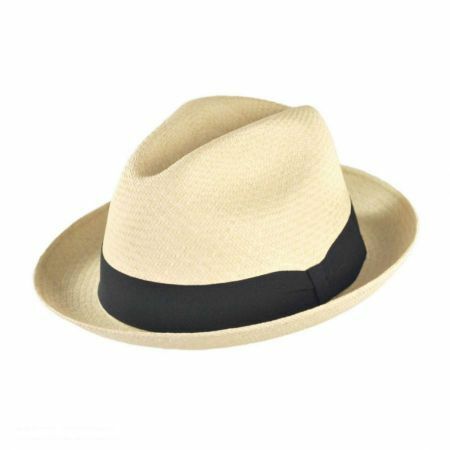 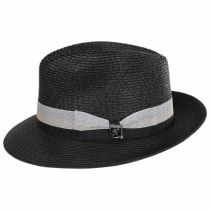 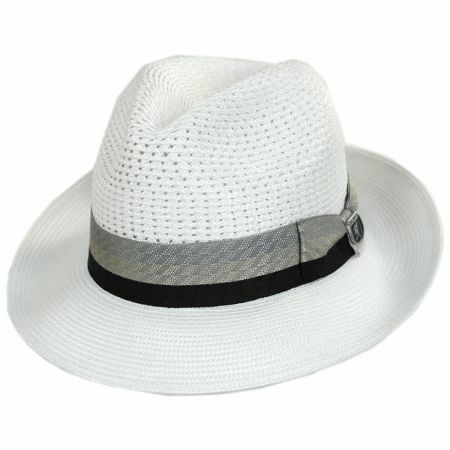 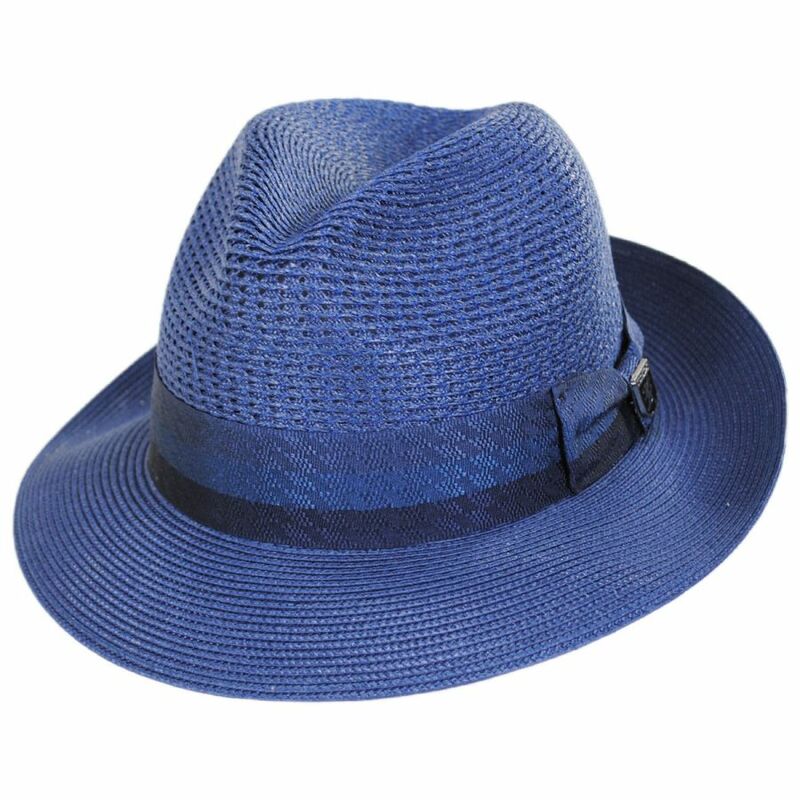 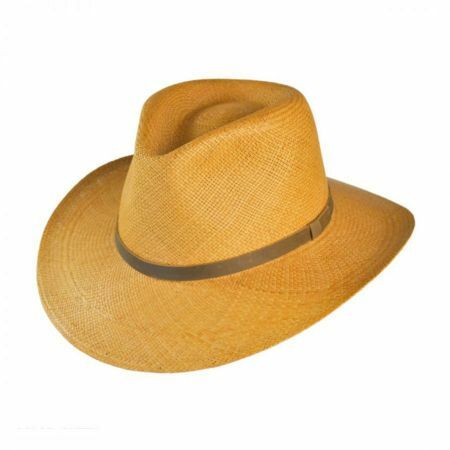 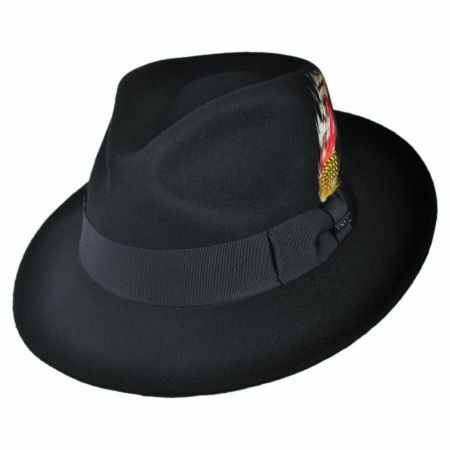 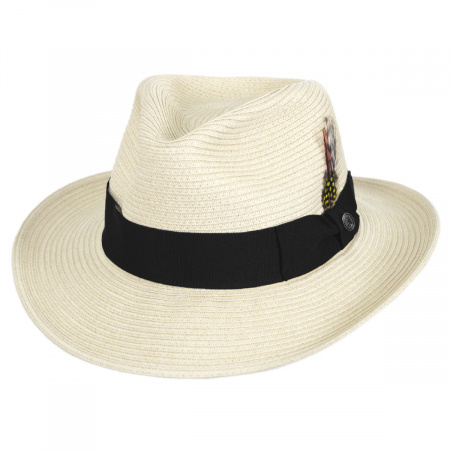 The Syracuse Fedora Hat from Stacy Adams is the epitome of a classic fedora! 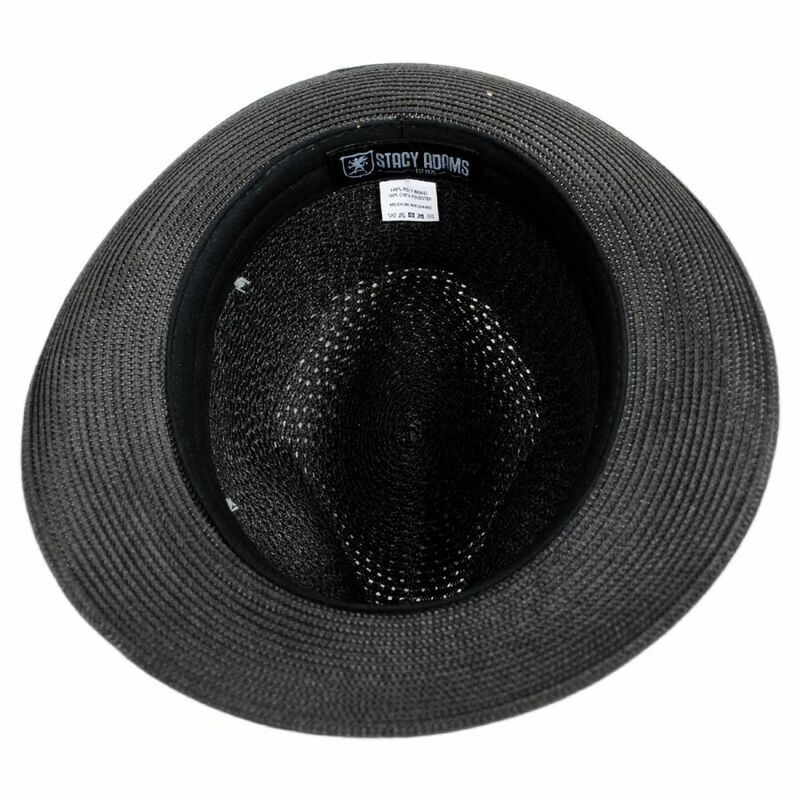 The ventilated pinch crown and snap brim feature a beautifully braided weave, and the padded sweatband ensures a comfortable fit. 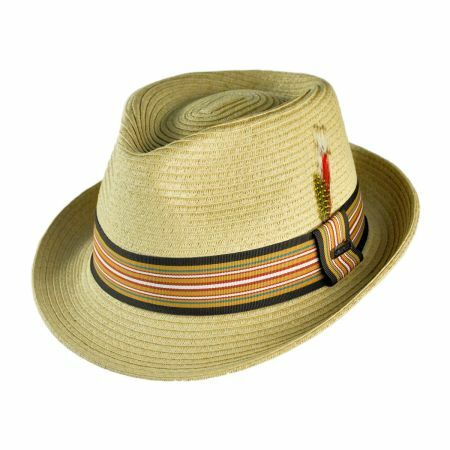 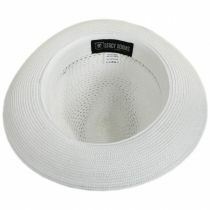 The striped jacquard hat band, complete with a bow, gives this hat a classy sense of style.